National Fried Chicken Day, held each year on July 6, celebrates the beloved American comfort food. This year, restaurants big and small are marking the day with food deals, charitable giving and even a soap opera appearance. The quick-service operator has a social media promotion in store for Twitter followers on National Fried Chicken Day. On July 6 only, those who tweet a chicken leg emoji with the hashtag #ItsBoTime to the Bojangles’ Twitter account will receive a coupon for $5 off a 12-piece Super Tailgate. The set meal comes with 12 pieces of bone-in fried chicken, three customizable sides, six buttermilk biscuits and a half-gallon jug of iced tea. The coupon will be valid through July 20. 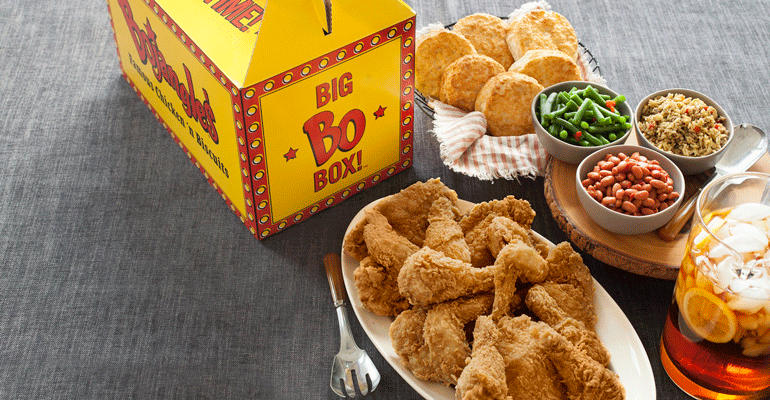 Bojangles’ is based in Charlotte, N.C., with over 760 stores systemwide. Church’s Chicken is observing National Fried Chicken Day in a charitable way this year. In support of “President” Austin Perine, a four-year-old with a mission to feed the homeless in Prichard, Ala. The quick-service chain will support Perine’s #ShowLoveFoundation by donating a dollar for anyone who posts an image of chicken from Church’s on social media pages or stories and tags the restaurant brand with the following hashtags: #ShowLove, #ChurchsChicken and #NationalFriedChickenDay. The campaign will run on July 6 only for up to $10,000 in donations. Church’s is based in Atlanta and has more than 1,500 units worldwide. Another limited-service operator with something special lined up for National Fried Chicken Day is KFC. The chain’s Extra-Crispy Colonel, portrayed by actor George Hamilton, will be making a special guest appearance on the long-running soap opera “General Hospital” July 6. KFC is owned by Louisville, Ky.-based Yum! Brands Inc. and operates over 20,000 locations worldwide. Large chains are not the only ones getting into the spirit of National Fried Chicken Day. 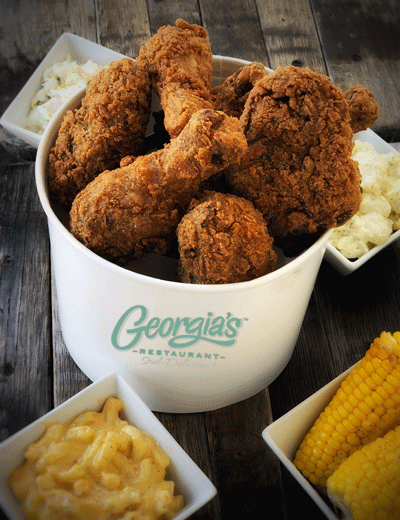 Independent operator Georgia’s Restaurant in Anaheim, Calif., will celebrate the food holiday with a special deal: an eight-piece fried chicken bucket with a choice of two sides — all for $20. The offer will be available starting July 6 through July 12, in honor of the restaurant’s fourth anniversary. Boxcar Betty’s, a Charleston, S.C.-based restaurant with three locations, will be holding a philanthropic promotion on National Fried Chicken Day at its Chicago store, its first unit outside of South Carolina, which opened in June. On July 6, the Chicago unit will give out a free sandwich in return for any monetary donation to the Greater Chicago Food Depository, a local food bank. A free fried chicken buttermilk biscuit sandwich will be offered during the breakfast daypart from 6:30 to 8:30 a.m. During the dinner daypart from 4:30 to 6:30 p.m., customers who donate will have the option of a free Boxcar sandwich, which includes pimento cheese, peach slaw, pickles and spicy mayonnaise, or the classic Betty sandwich, with lettuce, tomato, pickles and mayonnaise.